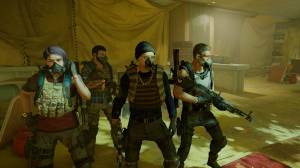 In The Division 2 perks are used to bolster your characters ability to fight in the war-torn streets of Washington D.C. This page gives you a list of all of the Best Perks in the Division 2. To unlock perks you will need the required amount of SHC tech cache points which are either obtained when you level up or by finding the SHC tech caches that are scattered around Washington D.C. The quickest and easiest way to find all of the tech caches on the map is to visit every safehouse in the region you are in. Safehouses will appear on the map and you can set a waypoint so you can go and grab them. The cost of the perk will depend on which one you are trying to unlock. There will be some perks that will only cost 1 SHC tech cache per tier whilst others that will cost one to unlock the first tier and five to unlock the second. 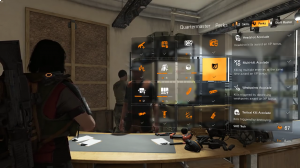 You will be able to unlock most of the perks from the beginning, however some of the best perks in the Division 2 are only unlockable later in the game. Below is a list of all the perks that are available along with some information about each of them. Check out the section at the bottom of the page to find out what the best perks are in The Division 2. Enables a second primary weapon can be equipped. Restocking when entering a safe space refills all armour kits. 50% chance for a bonus item to drop when opening a Field Proficiency Cache (Requires Lv30). You can now carry 1 more armour kit for a total of 4. You can now carry 1 more armour kit for a total of 5. You can now carry 1 more armour kit for a total of 6. Adds 20 more slots to your stash storage capacity. Adds 30 more slots to your stash storage capacity. Material storage capacity increased to 100. Material storage capacity increased to 250. Awards: Tactical small pouch magazine. Check out our What are the Skills page to learn more about the different skills you can equip your character. Although many of the perks are useful to have the ones that are an absolute must and you should focus on getting first are the Accolade perks. These are essential perks as they will enable you to progress through the levels quickly as they give increasing XP bonuses depending on certain actions, such as headshots for example. Accolade perks only cost 1 SHC tech cache to redeem on each tier. The next perk you may want to consider unlocking are the Deconstruction perks, although these will cost you 5 SHC tech caches they are worth it as they will give you increased resources for scrapping the items you find which will allow you to complete all sorts of Crafting tasks and Projects for the settlements. You may want to check out our list of Best Skills in the Division 2 next.